Size 40-48 Euro. 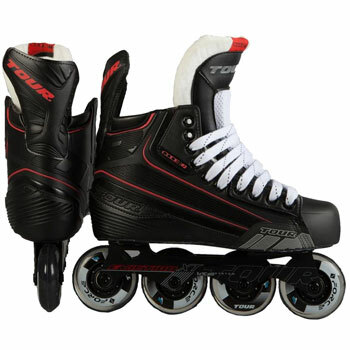 The Tour Fish BoneLite 500 White Roller Hockey Skates are perfect for Roller Hockey pro level player who’s looking for a stiff quarter package with a nice set of wheels. The BoneLite 500 uses Tour’s signature DPS Technology that lowers a player’s center of gravity, making them more agile on their feet accompanied with a powerful stride. The Labeda Eviction L.E. 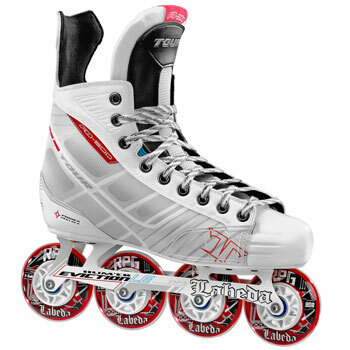 Frame holds four 80mm Labeda RPG wheels that make for a responsive and fast feel on indoor surfaces. Indoor Wheel. – General fit aspects of the Tour boot are med-high volume, wide heel pocket, medium-wide across top of foot and forefoot and toe box. Traditional stance. 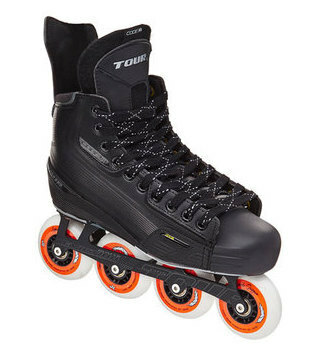 – This is a cavity in the front portion of the outsole allowing larger 80mm wheels to be recessed into the skate. 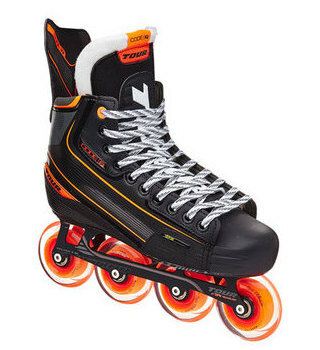 – Therefore, the skate can use all 80mm sized wheels to increase the player’s speed and maximum grip, while still maintaining a low center of gravity. – Low center of gravity = more control more speed!